If the region where you live is subject to more than the occasional power outage, consider investing in either a portable or standby generator. These guidelines can help you choose between the two. Major storms in recent years have spurred many homeowners to consider whether it might be wise to purchase a generator. If your area witnesses only brief, infrequent electrical outages, then you can probably continue to live quite happily without a generator. But if you’re losing power more frequently and for longer periods of time, then perhaps it makes sense to prepare for the next inevitable power failure by investing in a machine that produces electricity on demand. When you begin shopping, you’ll see that most manufacturers produce two main types of generators: portable and standby. Besides the obvious fact that both provide power, these two types of generators have remarkably little in common. The following can help you understand the important differences before selecting a generator for your home. 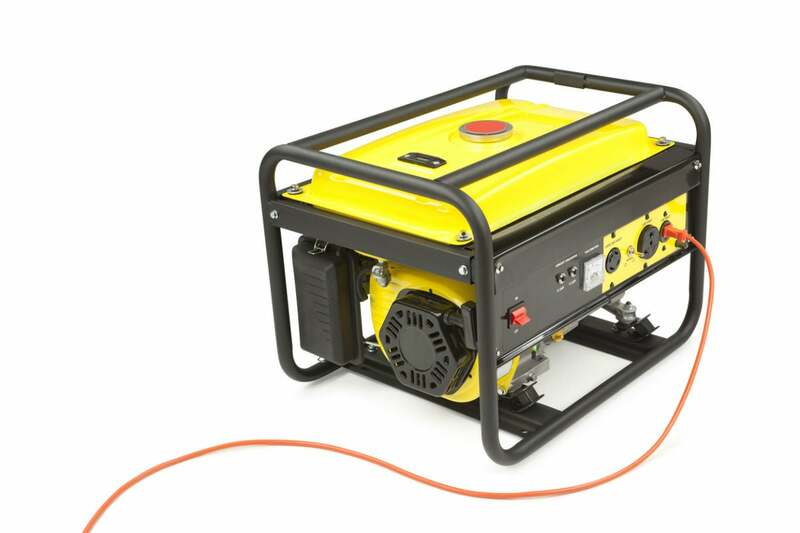 Portable generators are labor-intensive but affordable. Smaller portable generators cost between $500 and $1,500 and are capable of powering your home’s essential appliances. 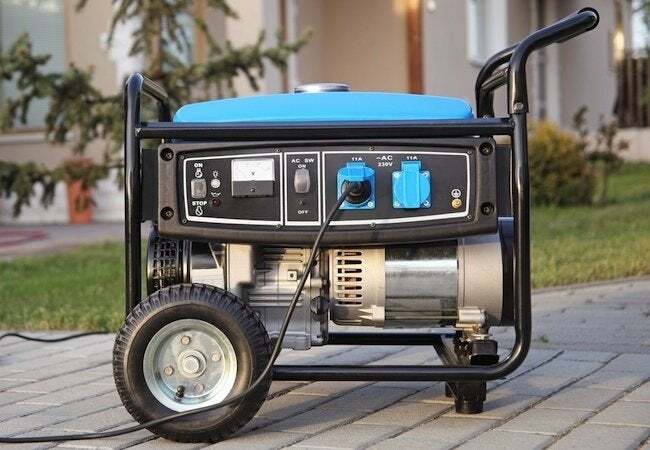 These are considerably less expensive than standby generators—and all in all, they are fairly user-friendly—but a portable generator does require manual operation and close monitoring. What does that mean? For one thing, you must be at home to start the generator. So if you leave for vacation the day before a power outage, you’re likely to return home to an array of hazards and headaches ranging from a flooded basement (due to a failed sump pump) to a refrigerator full of spoiled perishables. By contrast, a standby generator—as you’ll read in the section below—offers the peace of mind of knowing that no matter where you are when the power goes out, the generator will come on automatically. Further inconveniences of operating a portable generator stem from the fact that most such machines are powered by gas. Because a typical tank holds a finite quantity of gas—say, three or six gallons—you must periodically fill it, even during the worst winter weather. More seriously, due to the risk of carbon monoxide poisoning from engine exhaust, a portable must be placed at least ten feet away from the house, in an enclosure that protects the generator from the elements but also encourages the free movement of air. As tempting as it may be to run the generator in the garage with the garage door open, this is strongly discouraged. An open garage door does not provide adequate ventilation. Make sure you factor into your generator project budget the cost of a store-bought or DIY enclosure. Standby generators are hands-off but expensive. Whereas a portable generator can handle the electrical demands of just a handful of appliances, a standby generator is brawny enough to power all the appliances your family has grown accustomed to using. So while the rest of the block is in darkness, your house would continue humming along as if nothing had happened. Standby generators are quieter and safer than portables, and they operate automatically—you don’t have to lift a finger. Of course, that convenience doesn’t come cheap. Including professional consultation—which can be crucial in determining the appropriate-size generator—and installation, an average system costs about $10,000. Making the price tag more palatable is the fact that standby generators tend to last a long time, about 15 years. And upon home resale, these machines recoup about 50 percent of their cost. Although maintenance is necessary every two years, licensed professionals can help ensure a unit’s reliability. And for some families, especially those who have vital medical equipment running in the house, the reliability afforded by a standby generator is virtually priceless. So, what size of generator do I need? Lights typically require 60 to 200 watts to start. A refrigerator needs about 600 watts. A portable heater may need as many 1,500 watts. Other essentials you may wish to consider include the microwave, garage door opener, home security system, and even a sump pump. Portable generator sizes are measured in watts, but standby generator sizes are often measured in kilowatts (and one kilowatt is equal to 1,000 watts). If you’re shopping for the latter, divide your calculation by 1,000. 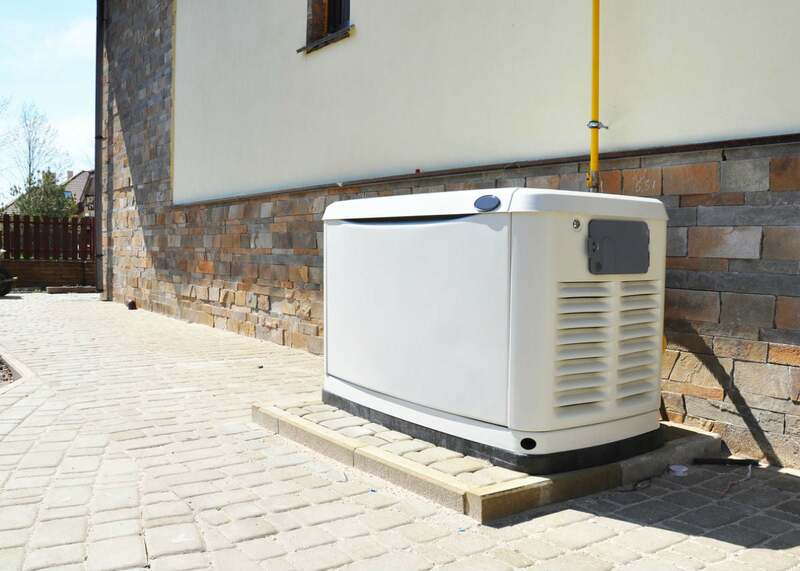 Homeowners with needs in the 5,000- to 7,000-watt range might do best with a portable generator, which is often available for purchase at home improvement stores—see our recommendations for the best portable generator here. Meanwhile, those who have added up their needs to be 12,000 watts or more may be interested in a standby generator at least 12 kilowatts in size. A consultation with a reputable electrician will double-check your math on the load calculation as well as inspect your home’s electrical panel and circuits to ensure you select the right size. Pro tip: Keep in mind that bigger is not always better. Choosing a generator that meets your baseline needs (i.e. the most important appliances) will cut down on the amount of fuel you need to keep stored year-round in your garage or tool shed. With additional reporting by Donna Boyle Schwartz.